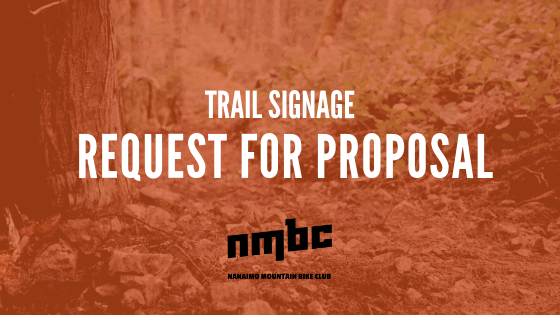 The Nanaimo Mountain Bike Club (NMBC) has a trail management agreement with Timberwest and the Regional District of Nanaimo (RDN). A requirement of this agreement is that all Doumont trails within the land area are insured and maintained to the Whistler Trail Standard. Signage is a component of the Whistler Trail Standard and NMBC reviewed signage requirements and also reached out to UROC to for signage reference and best practices as their Management Agreement is similar to NMBC. In 2018, the NMBC developed a Doumont Signage Plan. The main objectives of this plan were to define the NMBC’s signage commitments under the management agreement, determine the scope, content, and specifications of signage required to meet these commitments, and detail the signage requirements (i.e. trail location, signage type, and number of signs required) to meet the management agreement commitments. This project represents the first phase of implementation of this plan. Please submit all applications to nanaimomountainbikeclub@gmail.com on or before December 2, 2018 for consideration.